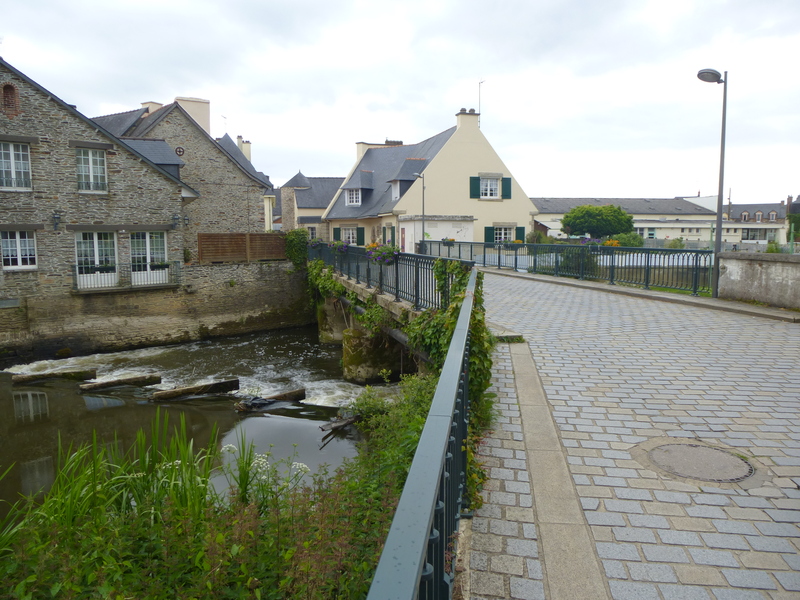 Sitting on the banks of the river Oust in south east Brittany, Malestroit is a charming little town. 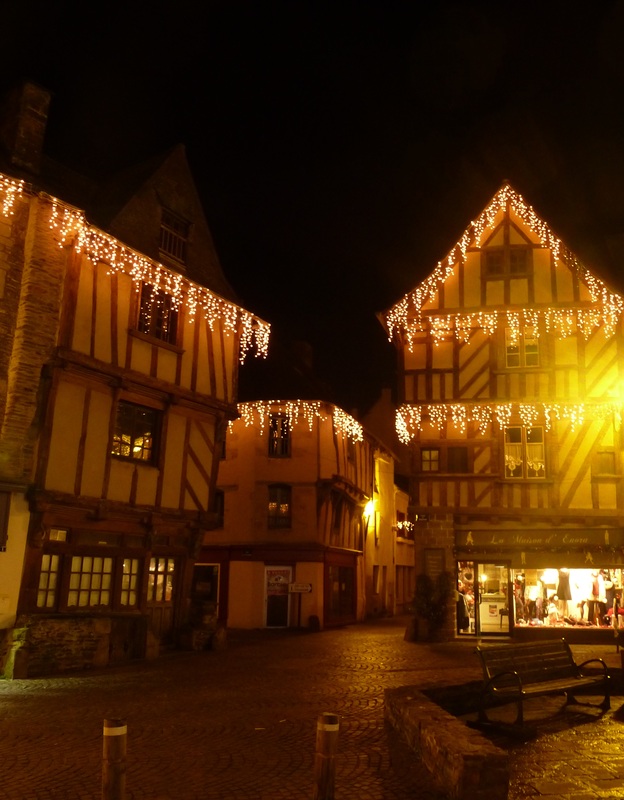 Its historic quarter is made up of a maze of narrow streets and alleyways lined with crooked medieval houses, and at its heart sits the imposing church of Saint-Gilles, parts of which date back to the 12th Century. 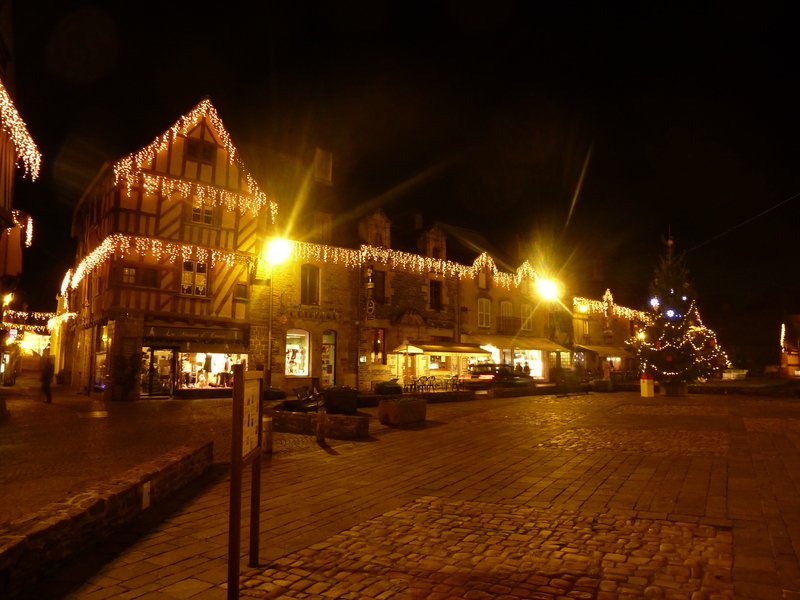 Despite its picture-postcard perfection, Malestroit doesn’t get much of a mention in guide books, and retains the atmosphere of a sleepy French market town. As a result, it is a place still filled with little pockets of magic. 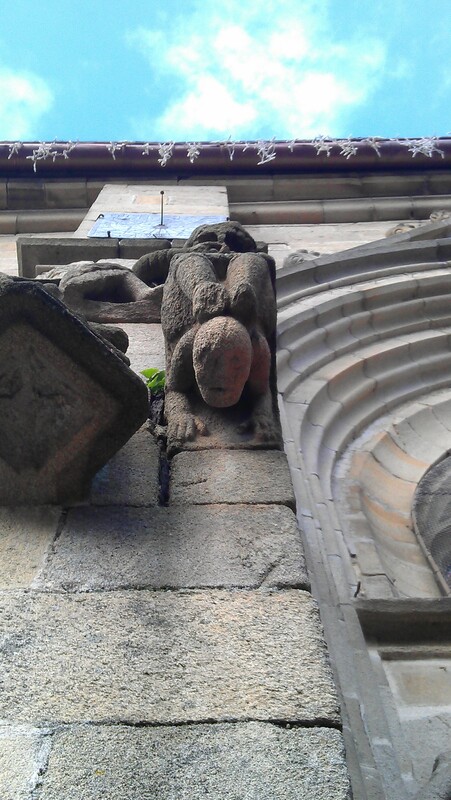 One of the most remarkable features of Malestroit is the strange sculptures that decorate many of its oldest buildings. Depicting biblical figures as well as fantastical creatures, these carvings were intended to be both decorative and informative, designed to amuse but also to remind the locals of the pleasures and pitfalls of sanctity and sin. 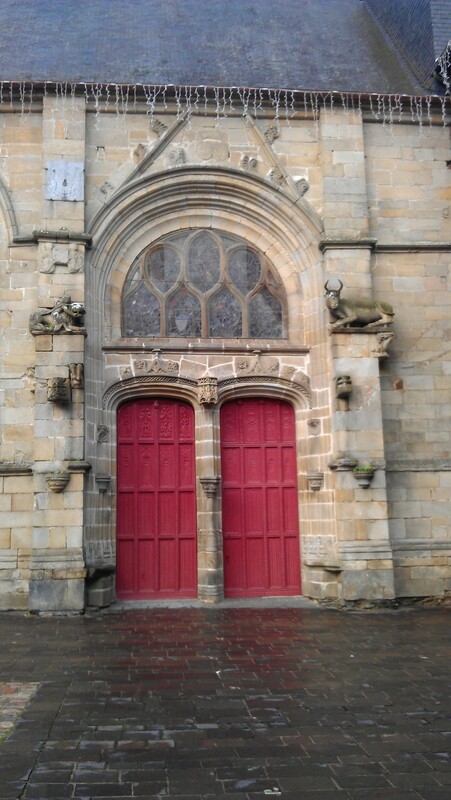 The south entrance to the church of Saint-Gilles offers its most spectacular aspect, the bright crimson doors surrounded by a mass of beautiful, sometimes bizarre sculptures. On the left side Sampson struggles with a lion, attempting to pour honey into its mouth as an act of charity, on the other a large Ox sits quietly, proudly displaying its impressive horns. Below Sampson, an acrobat tumbles head over heals, a symbol of those who have fallen from the path of goodness. Round the back of the church, in a quiet, shadowy alleyway, can be found the Fountain of the Golden Lion. The water that fills its deep basin emerges from a spring which was has been venerated since Celtic times, its importance probably leading to the creation of the town of Malestroit itself. 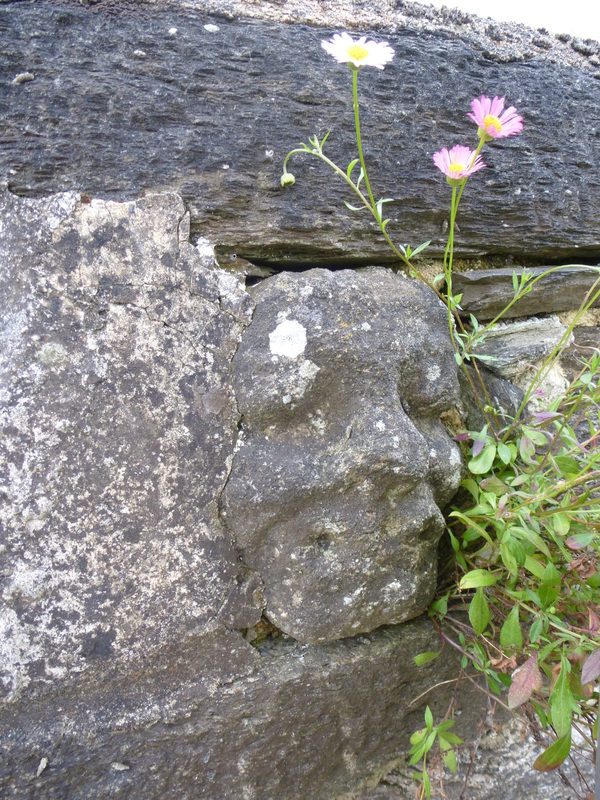 Today it has an air of gloomy neglect, the carved Romanesque head which decorates it covered in moss and mildew. 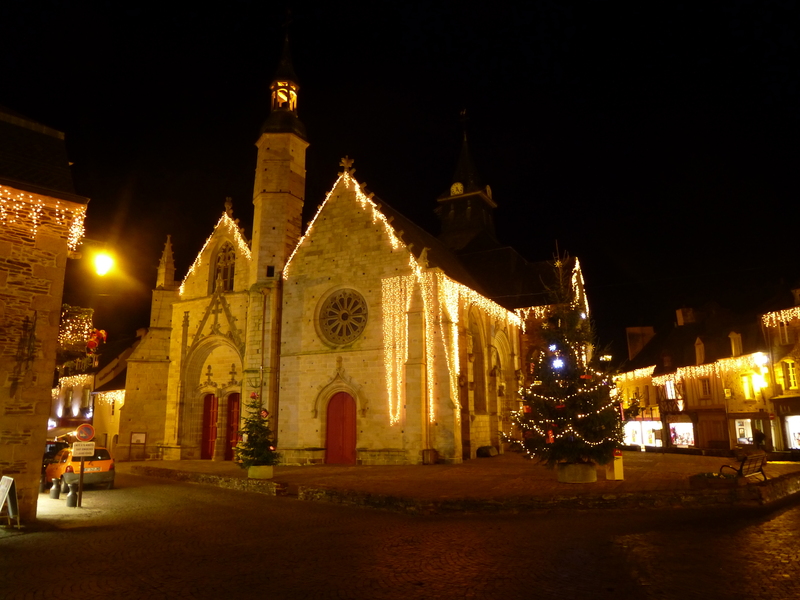 Just a few metres away in the town’s main square stands a tall, oak beamed house known as the Maison des Singes, which is covered with more weird and wonderful sculptures. Carved in wood, these figures are even more bizarre than those on the church. Most famous is the bagpipe-playing hare which looks anxiously over its shoulder, while a nearby pig sports a bulky buckled belt. 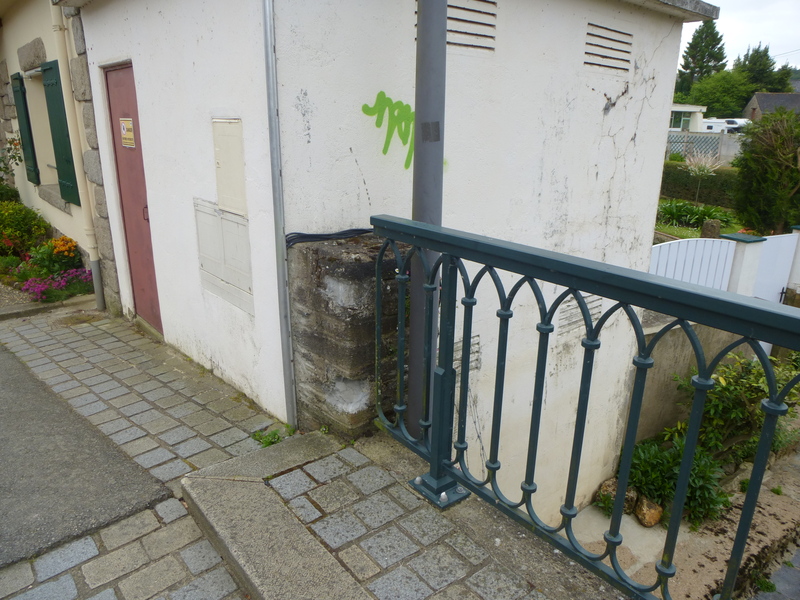 The pretty Rue des Ponts leads down to the river, an impressive sight with its wide weir gushing noisily alongside a large mill. Next to the site of one of the town’s now demolished gateways stands one of Malestroit’s most historic houses. Along the base of its balcony sits a row of cheeky faces carved into the end of the ancient oak beams. Grinning devils with stubby horns and lolling tongues stare out defiantly at the Oust, an attempt perhaps at holding back the yearly floods which play havoc in this part of France. Its reassuring to see that our ancestors had a sense of humour just as strong as their belief in the power of magic!